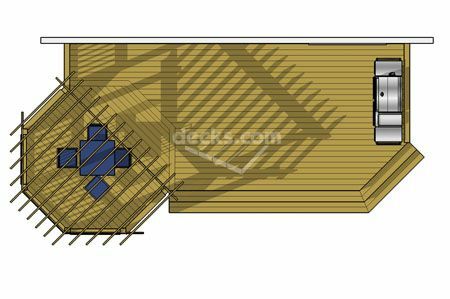 This deck design features a 12' x 12' octagon that is covered by an overhead pergola inset into a 28' x 12' base deck . 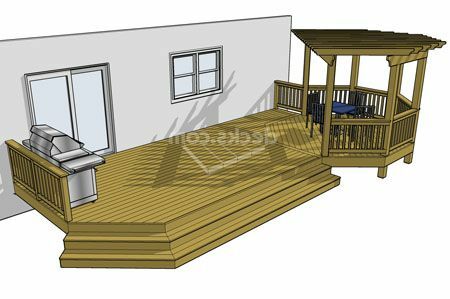 A nice sized grill area is positioned between the octagon and the house. 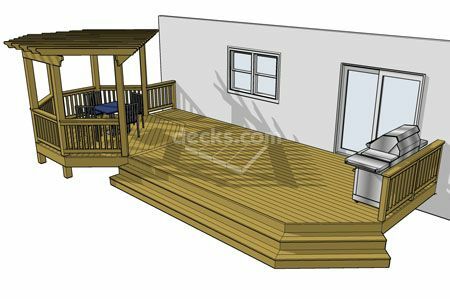 The opposite half of the deck is neatly wrapped by a cascading staircase creating a broad traffic lane between the house and yard.